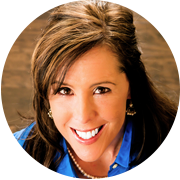 Dr. Jill Carnahan is Medical Director and Founder of Flatiron Functional Medicine of Boulder County. She previously practiced in Boulder with Dr. Robert Rountree of Boulder Wellcare, Inc. Her new office is located in beautiful Louisville, Colorado. We do not bill insurance, including Medicaid or Medicare. Payment expected at the time of service. From US 36: Take McCaslin exit and head north. We are on the right just after Centennial Pkwy/Cherry St. intersection. From S. Boulder: Drive south on McCaslin. Office building on your left. Our office building is called McCaslin Healthcare Plaza and says “Pediatrics” in large white letters.